The final pivot table will - eventually - show these figures. The tables you'll need for our pivot table. 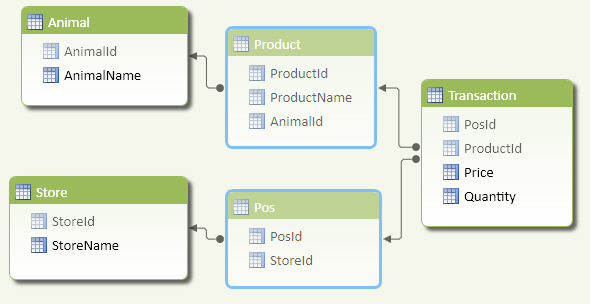 You'll need to import the id fields shown to create the relationships between tables, but you can hide most of the columns and the Product and Pos tables. 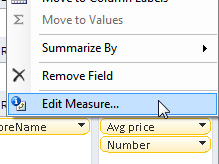 The only columns you should be able to see in the PowerPivot field list. Right-click on a value ... ... to change its name. Save your workbook as Store by animal, then close it down.